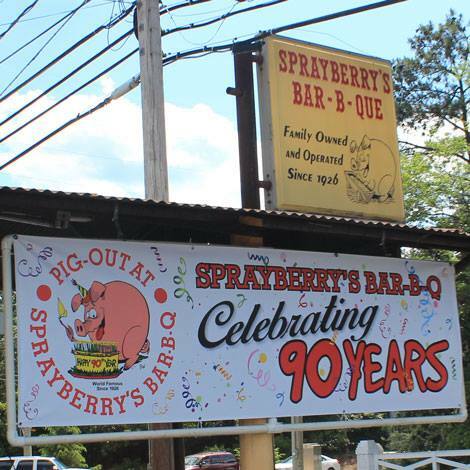 Sprayberry's Barbecue had its beginnings as Houston Sprayberry's gas station located on Highway 29 just north of downtown Newnan. 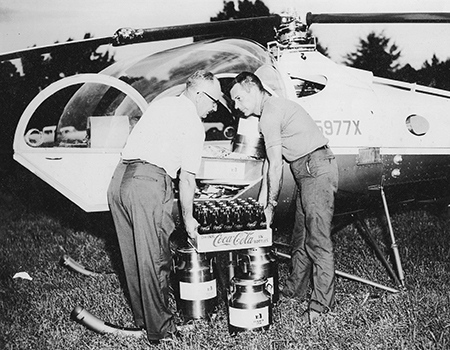 In 1926, Houston was selling enough barbecue sandwiches from the back of the station to close the pumps and become a restaurant. 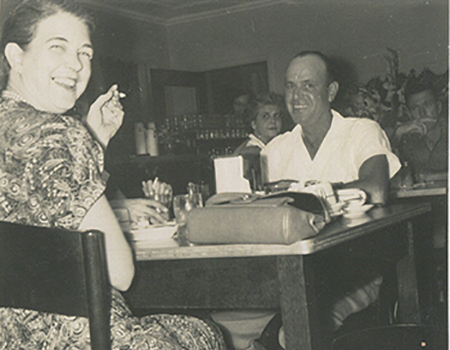 With his barbecue sauce and wife Mattie Lou's Brunswick stew, Sprayberry's Barbecue became Newnan's most popular eating spot. 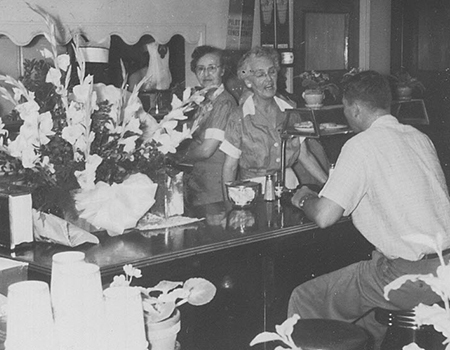 Four generations of Sprayberrys have continued the tradition with more than 90 years of service to travelers, businessmen and women, and locals. 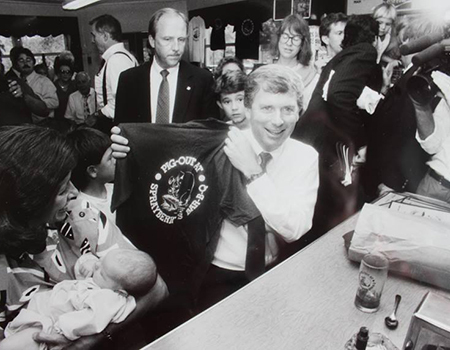 Politicians from U.S. Presidents to Governors have campaigned at Sprayberry's and entertainers and athletes stop for barbecue when traveling nearby. 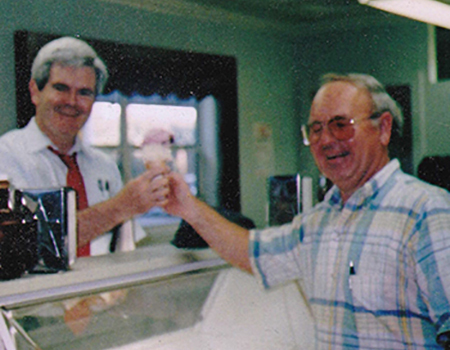 "Regular" customers include sports fans making their way between Athens, Atlanta, and Auburn. Others visit as they travel to and from the beach. 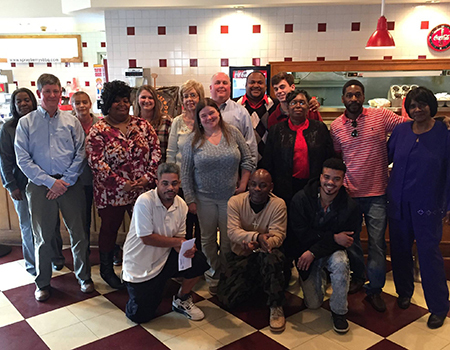 Holidays bring families who have made a meal at Sprayberry's part of their family tradition. Country music star, Alan Jackson, who waited tables at Sprayberry's during high school, stops in for his barbecue, Brunswick stew, and lemon pie when he's home. 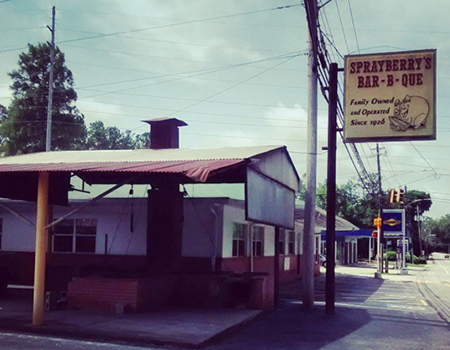 The late humorist/columnist, Lewis Grizzard, declared Sprayberry's, "merely the best barbecue joint on earth." 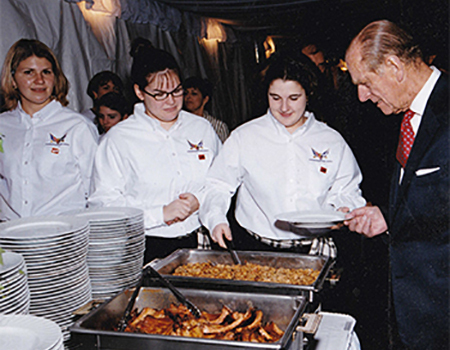 The Lewis Grizzard Special (a barbecue sandwich, Brunswick stew, and onion rings) was Lewis' meal of choice. 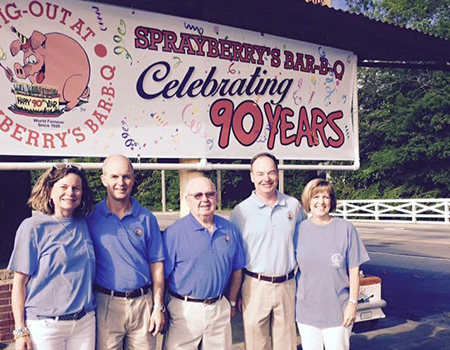 Sprayberry's Barbecue is a family owned and operated business which has grown with the City of Newnan and Coweta County. After multiple additions to the original location on Highway 29, the Sprayberrys opened a second location near Exit 47 of Interstate 85 to better serve the eastern section of the county and travelers on the interstate.